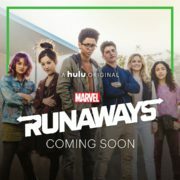 Freeform will be airing the series premiere of Hulu drama Runaways following the Thursday, August 2nd season finale of fellow Marvel drama Cloak & Dagger. Hulu has renewed both Marvel’s Runaways and Future Man for second seasons. The Official Trailer For Marvel’s Runaways Is Here! Hulu has released an official trailer for Marvel’s Runaways. Interview with Ariela Barer of Marvel’s Runaways. Josh Schwartz answers two burning questions about Marvel’s Runaways series for Hulu. Official promo art and a leaked trailer have surfaced for Marvel’s Runaways. 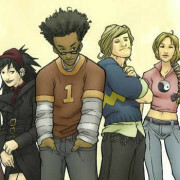 Marvel has announced the cast of their Runaways series for Hulu. Marvel’s Runaways are finally coming to television. 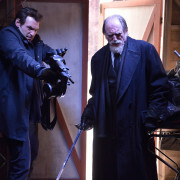 A new episode of The Strain called Runaways airs August 10 on FX. 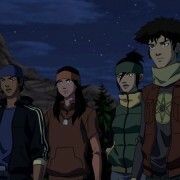 Review of the February 2 episode of Young Justice.